Although Ethiopia is often perceived as a dominantly Christian country Islam has an important place in the historic and a cultural composition of the country. The first Muslims arrived in Ethiopia during the time of the prophet Muhammad in 615 A.D. and the emergence of the first Muslim sultanates in central Ethiopia date back to the 9th century. 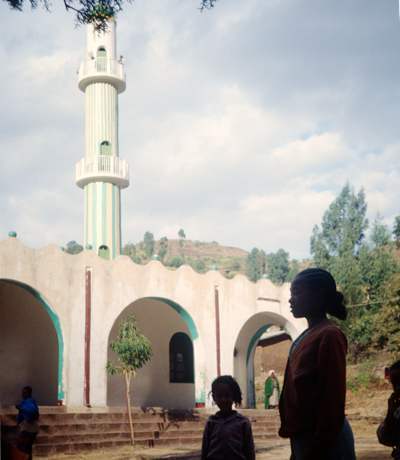 Today about 34% of the Ethiopian population are Muslims and Islam is the dominant religion in a number of regions, such as Afar, Somali, Harar, Eastern and Southwestern Oromiya, parts of the Gurage region and the eastern part of the region Wollo. This region is inhabited by a mixture of different ethnic groups, Amhara, Oromo, Argobba and Afar, though Amharic speakers are the majority. 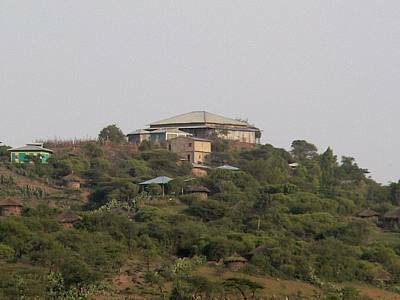 The famous Sufi center of Dana in northeastern Wollo. The introduction of Sufi brotherhoods in Eastern Wollo in the 18th century led to the establishment of centers of Muslim scholarship. Some of the most important centers in Wollo are Anna, Dana, Č̣ali, Geta and Tiru Sina. Theses centers are active utill this day and draw pupils from other Muslim regions of Ethiopia such as Jimma and the Gurage region, thus their influence extend beyond the local area. The centers have become destinations of yearly pilgrimages and the scholars who founded these centers as well as their successors are often venerated as awliya, i.e. (Muslim holy men). Manzuma is an Arabic term (the Arabic form is manẓūma) meaning “put into poetic form” and refers to a text written in the metrical system of Classical Arabic Poetry. In Ethiopia manzuma usually refers to Islamic poetry which is performed in a chanted manner. 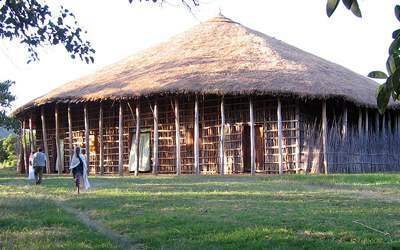 Manzuma was first introduced by Jamal ad-Din Muhammad, the founder of the first Sufi center in Anna in Northeastern Wollo. Although being Ethiopian he used the Arabic language to compose manzuma poems. Shaykh Misbah Deresa from Dana is said to be the first who used his mother tongue Amharic for the composition of manzuma poetry. The most influential Amharic manzuma poet was Sayyid Ibrahim Yasin better known as She Č̣ali, who founded Sufi center in the eastern part of Wollo in the first decades of the 20th century. Religious students (deresa) chanting awrad in the mosque of Tiru Sina. 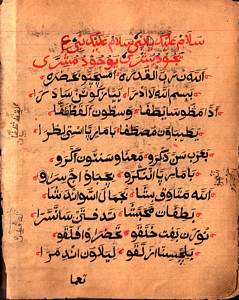 The first manzuma poems composed by Ethiopian Muslim poets were written in Arabic. Because manzuma appeared first in Wollo, where most of the people speak Amharic, most of manzuma poems are composed in Amharic. But in recent times manzuma became also popular in other regions of Ethiopia where other languages are spoken. Today there are manzuma poets who compose in other languages, especially in Oromo. In Harar another center of Islamic scholarship in Eastern Ethiopia, religious poetry is known under the name zikri. In Ethiopia most of manzuma texts are praise poems and contain different religious topics such as prayer for the Prophet (tawaṣolāt), praise of the Prophet (madḥ an-nabī), which also include biographical accounts of the Prophet (mawlid and miʿrāǧ), and praising God (ṯanāʾ Allāh). Though manzuma poems are performed orally they are usually written beforehand. In writing manzuma poems authors usually write in the so-called ajem script, i.e. the use of the Arabic alphabet for Amharic. First page of an Amharic mawlid manzuma written by She Č̣ali using the Arabic script. Manzuma poems are usually recited during religious celebrations like mawlid, i.e. the birthday of the Prophet or ziyāra, religious pilgrimages. Other occasions are ḥaḍra meetings, i.e. 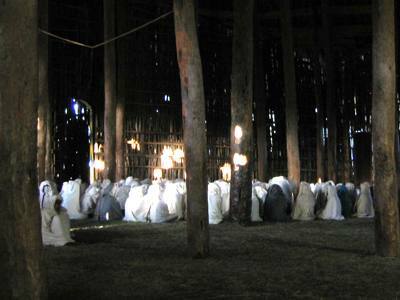 Sufi gatherings for collective prayers and ḏikr mediations. Manzuma “songs” are chanted by one lead performer who is accompanied by a chorus. The chorus performers are often so-called deresa, i.e. religious students. In Wollo there are basically different forms of manzuma performances. It can be performed with the accompaniment of a drum, also called dəbbe (dəbbe meaning drum in Amharic), by hand-clapping and sometimes dancing or without any accompaniment in this case called əngurguro. Besides being performed manzuma recordings are also distributed on various media. Recordings of many lesser known performers are sold on simple copied cassettes. But there are a number of manzuma cassettes which are produced in a professional way for the market. 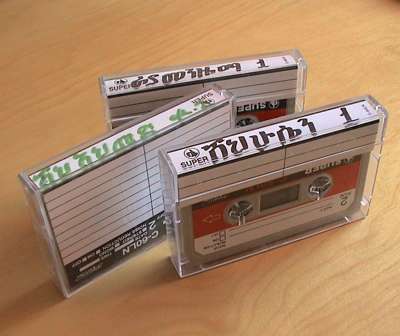 Some manzuma cassettes as they are often sold on the Ethiopian market. 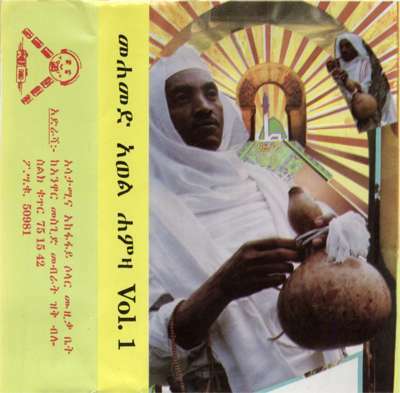 This is the first side of a Oromo manzum tape. 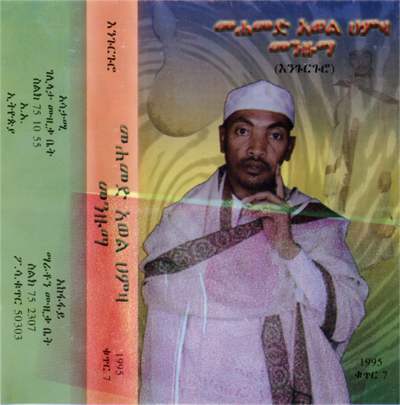 There is no information about the performer and the content except for the designation Raya Manzuma 1 on the cover of this cassette (On the photo it is the first cassette from the top). I bought it some time in the middle of the 1990s in Addis Ababa. This is the first side of an Amharic Manzuma tape which I also bought around 1995 in Addis Ababa (It is the cassette in the middle on the photo). She Ahmed refers to the performer – poet who sings in the Wollo dialect of Amharic. ‘She‘ is the local form of the Arabic ’shaykh‘ and it usually indicates that the person either has a certain religious knowledge or is a locally respected person. While these manzuma “albums” were sold on cassettes in the the last decade of the 20th century and in the early 2000s very well known performers produce and market their recordings on CD. 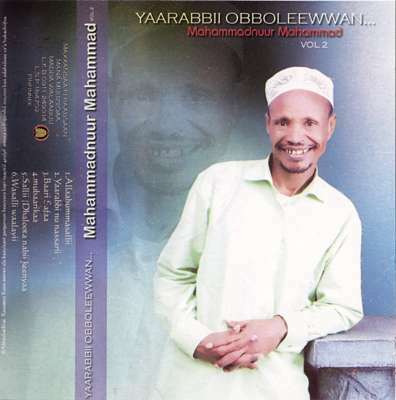 The currently best known manzuma performer and poet in Ethiopia is Mohammed Awwal Hamza. 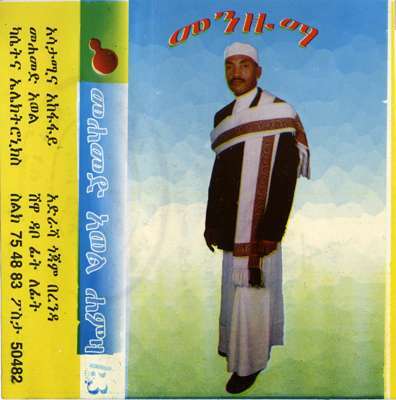 Born in Kombolcha in Wollo he lives now in Addis Ababa and produces at least one manzuma album every year. He performs in Amharic as well as in Arabic and the poems he recites were either composed by scholar-poets from Wollo or by himself. He also appears on Ethiopian Television for example on Id al-Fitr after Ramadan when tens of thousands people gather for the final prayer in the stadium of Addis Ababa. Mahammadnuur Mahammad is a manzuma poet and performer who uses Oromo, which is the biggest Ethiopian language in terms of mother tongue speakers. Although there were other manzuma poets chanting in Oromo Mahammadnuur became in recent years quite popular beyond his ethnic group. This manzuma piece is chanted in Arabic with chorus. The second example is a solo performance while the text is in Amharic. This is another manzum piece in Arabic, with drums, hand-clapping and a chorus. 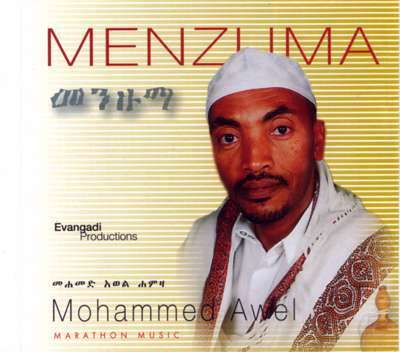 In this manzuma piece Mohammed Awwel chants the main verses in Amharic while the chorus is in Arabic. The last example is an Oromo manzuma by Mahammadnuur Mahammad. Similar to the examples presented so far it has the same structure of a main performer who chants the verses and an accompanying chorus. But this piece shows some innovations because the drums are now produced with a drum machine and there is an additional backing with some electronic instruments. Thank you very much for presenting and studying Menzuma in various languages of Ethiopia, an important Islamic prayer and poetic genre. It is a great literary and religious genres to be studied, analyzed and documented. One of my MA students is writing a paper and I would like to kindly ask you if she is allowed to use your essay here. Thank you very much. And I wish you all a wonderful Romadan fasting! thank you for the comment. Sure, she can cite it. She even doesn’t need to ask because it is published. Would love to share some of the music I have with you whenever we’ll meet down in Ethiopia. As an American Sufi, I would love to sit quietly while chanting is going on and let this music resonate within me. I did not see an author to this article, who wrote this. alle articles are written by myself (http://www.kezira.de/about-this-blog). you are ignorant OLF, you will never repserent us. If you knew Atse Minili was Oromo on his father side. OLF always use oromo population as a pretext. You will never succeed because we have seen you for 40 years with no success because we are not supporting you. OLF is a terrorist organization that bombarded our population. Don’t waste your time, we oromos are Ethiopians. we knew that almost all of the OLF members are also muslims, why? is oromia for only muslim state, no way we have Gada system, chriatian, muslim brothers and other thingsGalatooma!! !